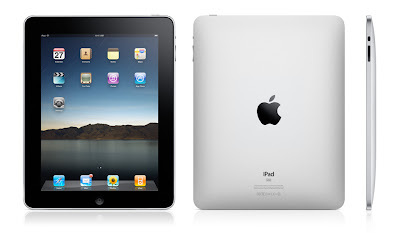 Apple iPad – the tablet that made me go tjongolongo! – ¿¡ tjongolongo ?! Well, it’s official, Apple has launched its latest project, the iPad. The iPad is a new tablet created by Apple, it was rumoured to be an iPhone on steroids and well, it sure looks like it is! There was no way around it today, everywhere I looked online today, I saw iPad, iPad, iPad. Even flicking through a few channels on the television I came across news about Apple’s latest piece of technology. Internet – You can browse the Internet with Safari. The tablet can actually show the webpage as an actual page if you hold it in portrait. Mail – You can check your mail in ways you never could before, whether it’s landscape or portrait, the iPad will adjust itself to your liking. Photos – You can flick through your albums quickly and even use the iPad as a digital photo frame while it’s docked or charging. Video – The iPad has a nice large high-resolution screen which makes it ideal to watch videos. If you use the YouTube app, it even organizes videos for easy navigation and viewing. iPod – With the iPod app you can browse through your entire music library. You can even access the iTunese store and buy music, tv-shows, podcast etc. App Store– iPad will run almost 140,000 apps from the App Store. iBooks – This is a new app by Apple. 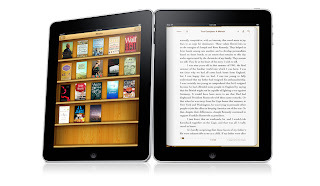 The iBooks app will enable you to buy and read books on the iPad. Maps – You can see the entire world either in satellite or street view images and search for locations and directions. Notes – The iPad has a nice large, on-screen keyboard which makes it easy to make notes. Calendar – The iPad comes with a Calendar and will even show multiple calendars at once if needed. Contacts – You can easily browse through your contacts on the iPad. I like Apple for a few reasons, one of them being the way they design their products whether it’s the software or the hardware, it always looks great and simple (I like simple). They also try their hardest to make things as easy to use as possible and they usually succeed in doing so. Another reason why I like Apple is their marketing and communications style. They can get many people hyped up about something weeks before it’s launched and the way they present their products is always very slick and simple (did I mention I like simple?). They always get people to go tjongolongo when they present their latest product. The iPad is yet another nice piece of design and marketing both of which made me go tjongolongo! Are you going to buy the iPad? @Flexible Packaging – Thanks for the comment. I'm glad to hear/read that you like the blog! All the best for the new year.